HWD: 159 x 159 x 15mm. Spigot depth 78mm. Airvent 100mm Chrome Low Profile Extractor Fan Timer is rated 4.6 out of 5 by 11. Rated 5 out of 5 by CozyInterior from Perfect Works quietly, fits easily, looks good on the ceiling. Rated 5 out of 5 by Rob12s from Good fan Bought this to replace my existing fan as it broke after 3 years, exact same fan as this so a fiddle to fit and the adjustable pre set cut out timer is great for your bathroom to get rid of the steam after a shower. Looks good and performs well. Rated 5 out of 5 by ChristophG from Quiet fan, looks ok Replacing an old Manrose fan, less expensive than many and higher extract rate. Quiet operation, great value for money. Rated 5 out of 5 by Davmags from Fairly quiet fan Bought this to replace a faulty fan. This one looks better and is quieter an I imagined. Great value for money and real easy to fit. Rated 4 out of 5 by Merv5 from Nice looking Bought the fan as I was doing up a flat to sell and the crome front matched other items in the bathroom. Reasonably quiet running and was competitively priced. Rated 4 out of 5 by Lee67 from Fantastic Value for money I purchased one of these about a year ago for the ensuit and I've just brought a second one. The simple reason for buying it a second time round was how quiet and smooth running it is. The 1st hasn't faltered a bit so I'm guessing the 2nd will follow suit. Highly recommend. Rated 5 out of 5 by Spadger from Nice product I recently bought one of these extractor fans to install in our downstairs WC. 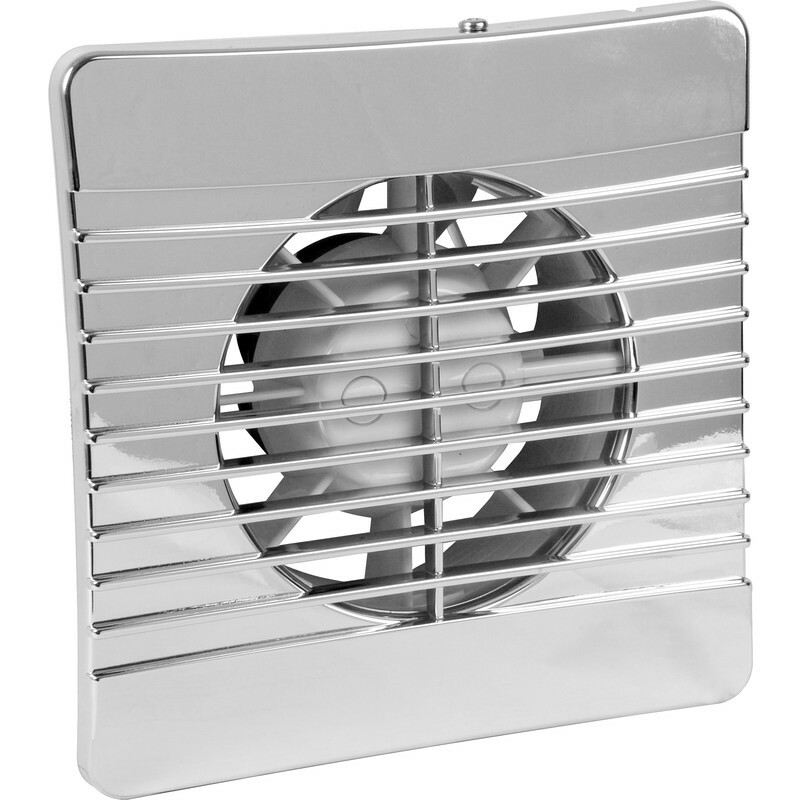 The fan works well and because of it's chrome finish (chromed plastic) looks very stylish. It was easy to wire up and has the advantage of being fitted with a back-draught baffle. The overrun timer works well and is easily adjusted. I would recommend the use of a 100 mm core drill to cut through a cavity wall, this makes the whole operation very easy. All in all an excellent product at a favorable price.